Designed for use by special forces ops, L/E snipers and world-class professional target shooters for distances up to 800 meters. Featuring an adjustable objective for setting zero parallax at distances from 3 meters to infinity, the ZD 4-16x44 RD is the definition of accuracy. ZD target turrets feature .05 Mil Rad positive click-stop adjustment for unparalleled repeatability and tracking performance. The elevation turret allows calibration of bullet drop to virtually any known distance and can be reset to zero. Featuring an RD illuminated Mil-Dot style reticle the ZD 4-16x44 enables the shooter to determine quickly and precisely the exact distance of an intended target at almost any range. 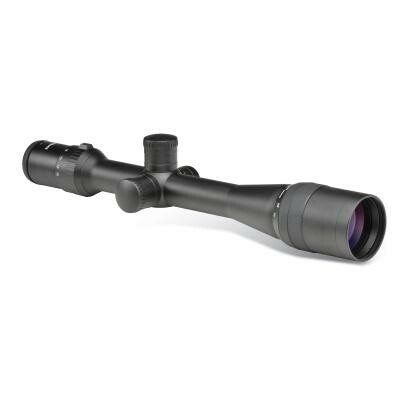 The ZD 4-16x44 RD riflescope features a reticle in the second focal plane. Reticle placement in the second focal plane means that as you increase or decrease magnification, the apparent size of the reticle remains constant.